Dr. Daniel Janosik accepting a plaque from Mary Lowe, executive director of ACCESS. 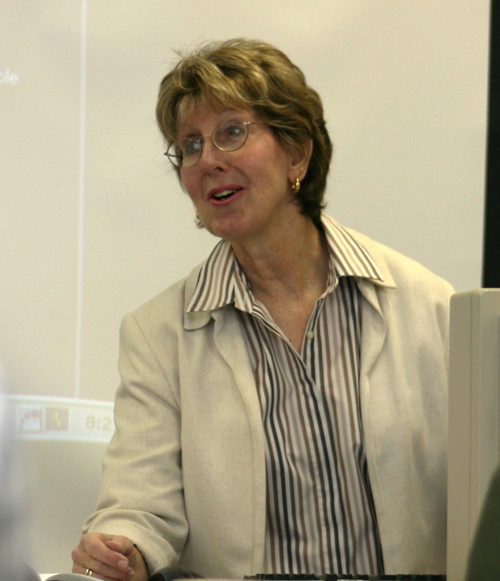 Dr. Shirl Schiffman developed the award-winning course "Foundations for Spiritual Formation." The Distance Education and Media Development (DEMD) department of Columbia International University is the winner of two national awards for innovative online learning. The Course-of-the-Year Awards are sponsored by ACCESS, the Christian Distance Education Association, and Christianity Today International, in recognition of excellence in Christian distance education course development. Courses are reviewed by a team of instructional designers from Christian universities and seminaries. Judging is based on instructional design, media/materials development, and learner support. CIU’s newly developed graduate-level course “Foundations of Spiritual Formation” was recognized for blending face-to-face teaching and learning with online technologies. It was developed by Professor Dr. Shirl Schiffman and was commended for its excellent forum interaction, video quality, webinars, “strong social presence” and “interactive credibility.” The course was augmented by the video production of Ken Summerall, the production manager for DEMD. 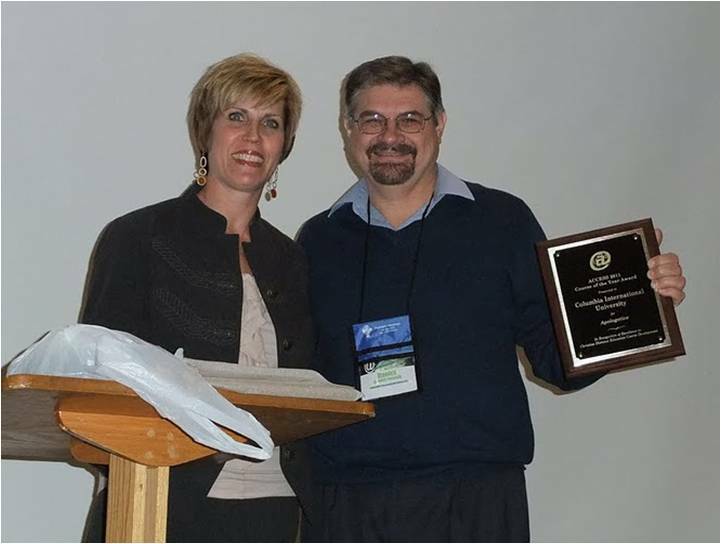 The awards were presented to CIU at the 40th Annual ACCESS Conference hosted by Moody Bible Institute in Chicago on March 9, 2011.